Can you believe it has been five years? 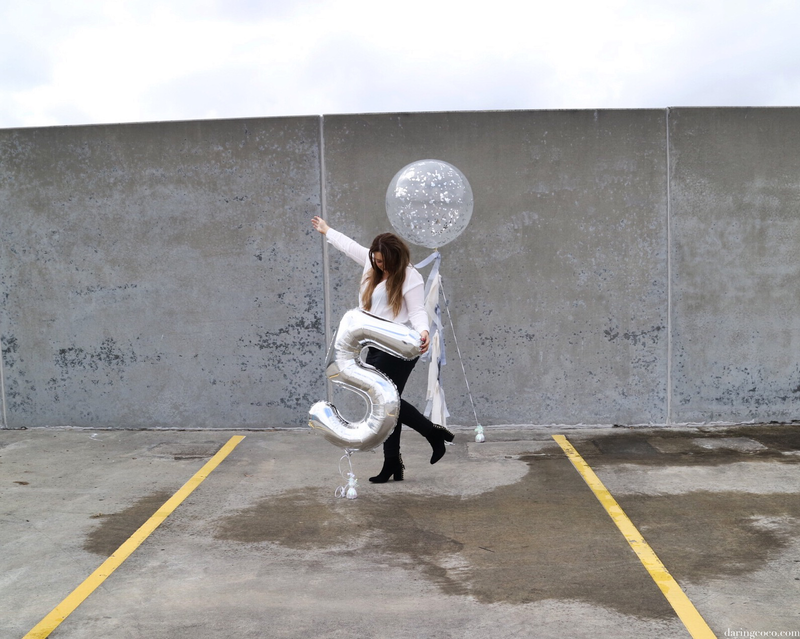 That I have been blogging on Coco for five years now?! 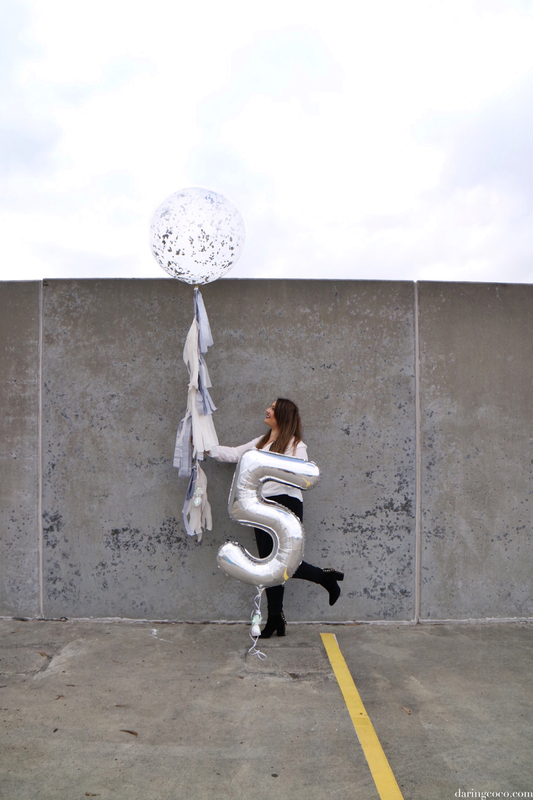 I had previously decided against marking this milestone, mostly because when I think back to my blogging beginnings my initial five year plan didn’t quite match with today’s current outcome. 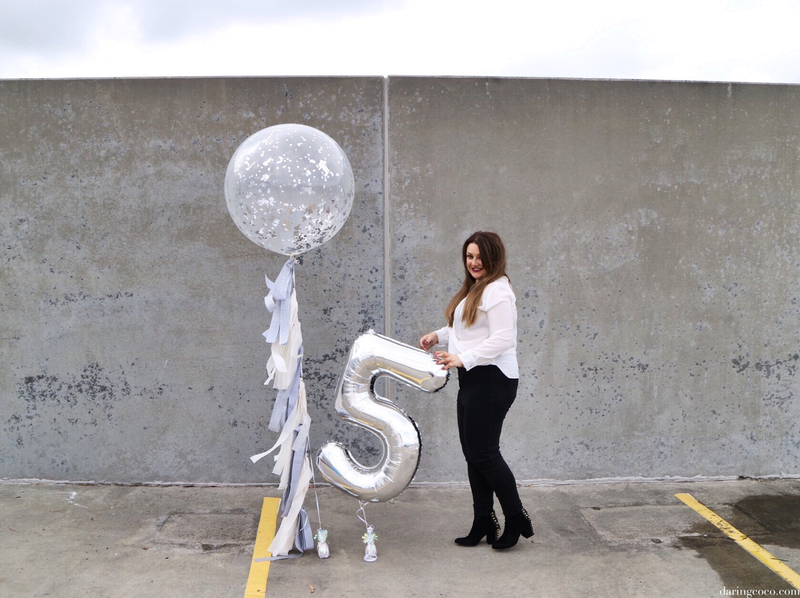 But after recently celebrating fellow blogger Rowena from Rolala Loves fifth blogversay, I begin to have a change of heart. While my path may have swerved erratically during these past few years, from confusing beginnings to fashion focused middles and all too often writers blocks, the fact that I am still here is something to be jubilant about. I am proud of where I am today, regardless of where or how I originally wanted to lead this pursuit. Especially considering that these past few years have been far from effortless. From starting up a business and promptly failing to succumbing and contending with anxiety and panic disorder issues. During that time this blog become my lifeblood and a welcome distraction. Through random musings and words it also become an outlet for expressing a fervor need to be creative. I poured my heart and soul into Coco, at times revealing too much and others not nearly enough. 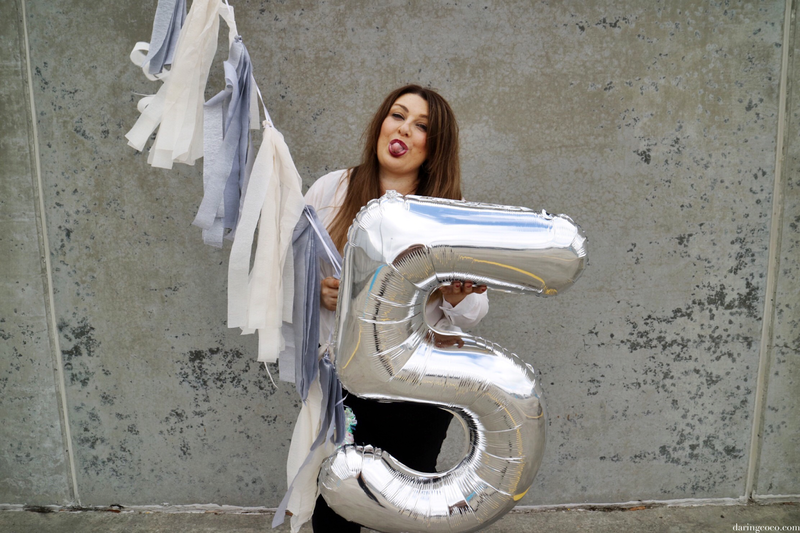 It hasn’t always been smooth sailing in the blogging world. I’ve experienced highs and numerous lows. While I tend to share many frustrations and add my own two cents on topics du jour, there were a few things I decided to withhold. Like being dropped by one of the top-tier affiliate programs during one of the worst periods in my life. In terms of blogging I always saw this as my greatest failure as a blogger. But after conversing with fellow blogger Rita from Coast with Me, I came to realise it wasn’t as great an issue as I’d initially created. Such circumstances never held me back and in the end I found programs that exceeded my expectations. Blogging isn’t always picture perfect, and for me there’s always this perpetual inner conflict with identity and what to produce slash focus on. And lately the struggle in trying to find some sense of balance between writing, blogging and a part-time merchandiser role. Of course there are many perks to blogging. The greatest has to be all the friends I have made and continue to make; friends I do hope to meet one day. I have been fortunate to meet a string of incredible ladies thus far. People like Mandy from Frocks and Froviloites, Abby from House of Akih, Rita from Coast with Me and Katherine from Wanderhour. I’ve also been fortunate to work with some fabulous brands and interview some extraordinary individuals. Blogging truly has been so astoundingly rewarding. So much more than ever expected or anticipated. And I can not tell you how truly and sincerely grateful I am to all my amazing readers and blog friends. 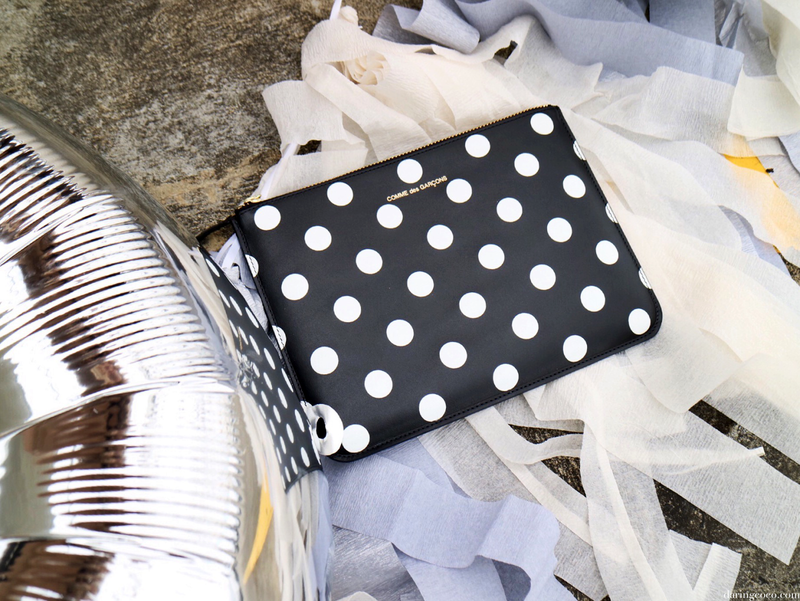 So to celebrate not only this milestone but all my fabulous readers and the friends I’ve made along the way, I’ve decided to gift one lucky individual a brand new, very much coveted (and totally cute) COMME des GARCONS polka dot clutch. This giveaway will run for three weeks (because three is my lucky number and five would be far to long a stretch) and is open internationally. All you’ve got to do is enter via Rafflecopter (to your right). I will ask that the winner perhaps sends me a photo or three of their new baby.